So many different fishing tackle boxes, bags, buckets or whatever are on the market. Or you could just make your truck the tackle box. 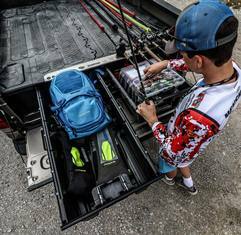 The company Decked makes truck deck organizers including for fishing. 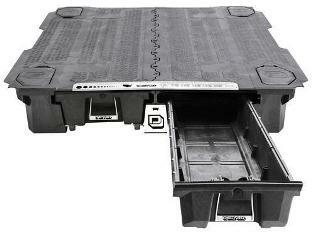 They fit into the full length of the bed and feature customizable drawers that can each hold 200 pounds. Plus, the deck can still be fully used, including for boats, canoes or float tubes. You can store tackle, waders and you name it in the drawers. Choose your truck’s make, model, year and length. This is the biggest improvement since carbon fiber, the company says.